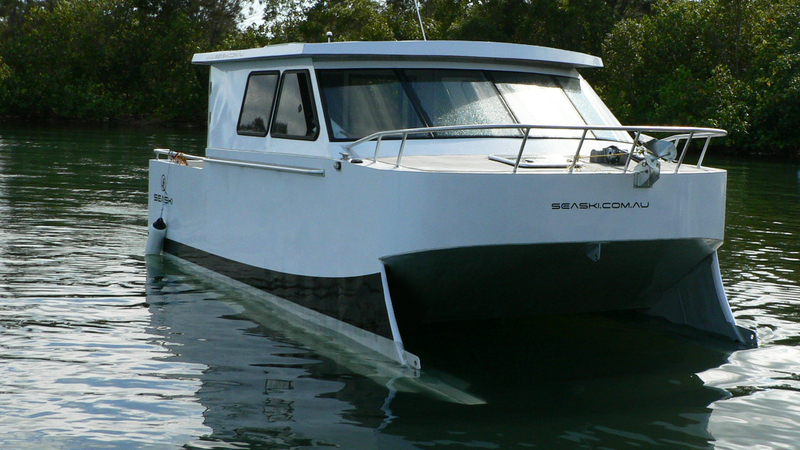 SeaSki is a revolutionary concept in boat design that is as smart as it is simple. 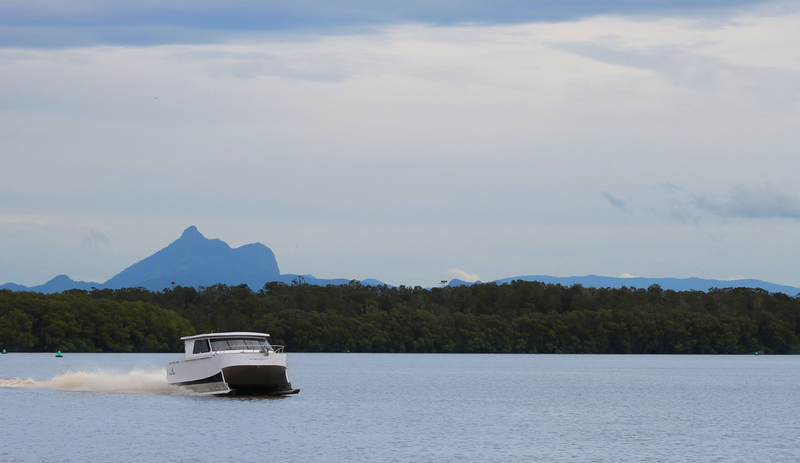 Featuring a number of world firsts, this innovative Australian design has a wide range of uses applicable to recreational users, commercial operations, maritime and patrol authorities and customs and military pursuits. The revolutionary design features a hull that rides on skis to create hydrofoil-like capabilities at greatly reduced cost. While cruising comfortably at 70 km/hour, SeaSki can safely race for home at speeds of 100km/h should you need to outrun bad weather. Speed aside, SeaSki is stable in most waters including rough, choppy conditions, heavy swells or when crossing the wake of other boats. 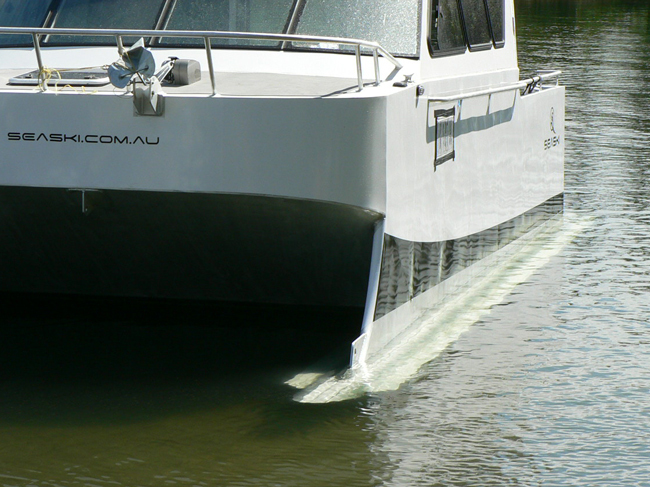 It is equally stable at low speeds or at anchor, meaning greater comfort and safety for occupants. 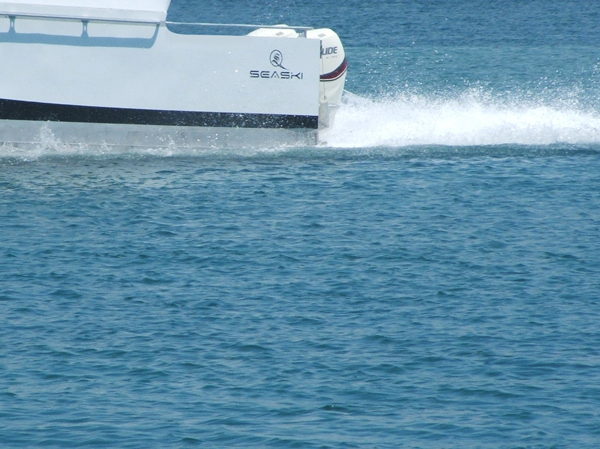 As SeaSki picks up speed, the cushion of air beneath the flat hull is compressed and lifts the boat so it only generates flat bow waves and leaves minimal wash behind. The cruising speed decreases drag and results in a draught of only 100mm in the ski paths at 70km/h. The environmental benefits are significant in waterways prone to erosion and degradation through wash, which is a serious concern for waterways the world-over. 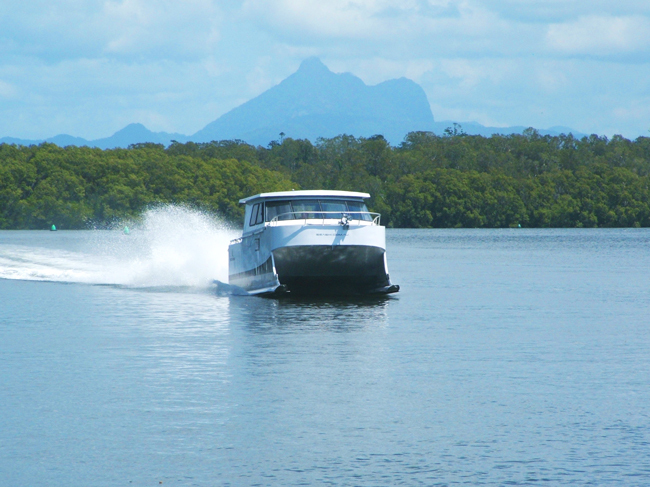 There are significant comfort and safety benefits* for other boating enthusiasts whether on busy waterways or in congested port areas. * In 2012 the US Coast Guard reported 633 accidents due to the force of wake/wash, hazardous waters and weather, with a loss of 106 lives. 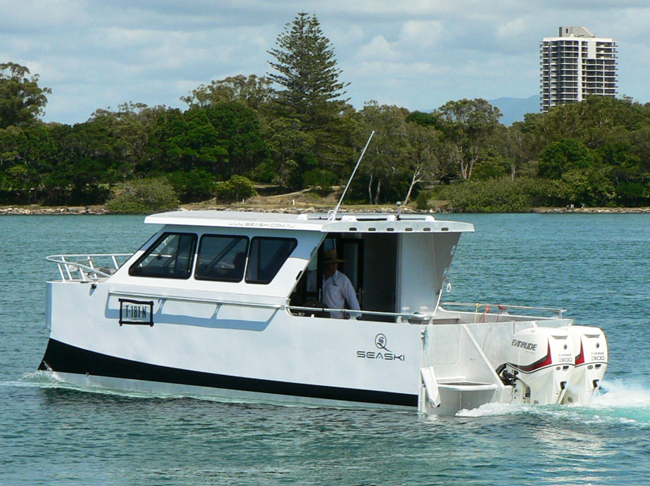 In addition to its outstanding performance attributes, SeaSki offers lower running costs owing to its low drag, minimal draught and stable plane through all waters. Savings in running costs coupled with speed to destination combine to influence the return on investment in a way that no vessel of similar dimensions can match. 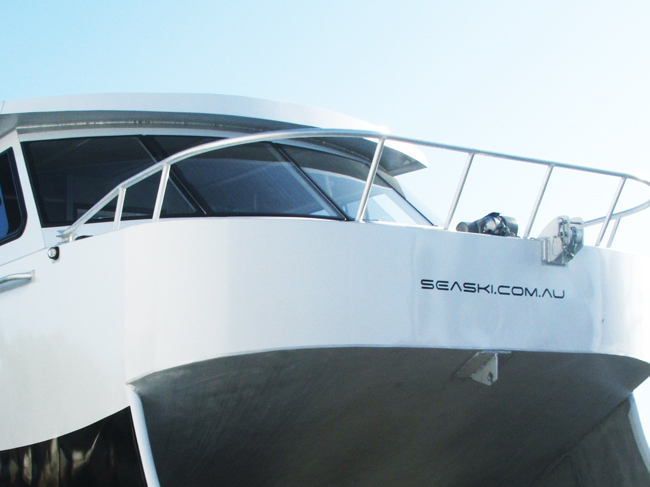 The ability to outrun bad weather is just the start of SeaSki’s safety credentials. The design can be configured for fuel storage in the skis – outside the hull area – minimising the chance and impact of fire or explosion within the confines of the hull. The design features built-in positive buoyancy, a life-saving factor while waiting for help to arrive should the unexpected happen.